Lord Thoth guided us to design a project titled “The Dragon Fire Activation” and this is how we met ‘Ferren’, who is the dragon companion of Lord Marduk, known also as ‘Mušḫuššu’. He is mentioned in the Book of Daniel which has been proven to be a fake, and this book was written by Jewish rebels of the Maccabean times who were against the gods and their dragons, since as we now know, all the Anunnaki/Elohim had their own dragon companion which they brought from Sirius, where the Anunnaki are also the creators and the protectors of the Sirian inhabitants. These magnificent beings that we call dragons should not be confused with the reptilians, as in the more ancient species of reptilian they had wings and mistaken for dragons. The word dragon is derived from the Greek word ‘δράκων’, drakon (genitive drakontos, δράκοντος) “serpent, giant seafish”, which is believed to have come from an earlier stem drak-, a stem of derkesthai, “to see clearly,” from Proto-Indo-European derk- “to see” or “the one with the (deadly) glance. In Ancient Greece the first mention of a ‘dragon’ is derived from the Iliad where Agamemnon is described as having a blue dragon motif on his sword belt and an emblem of a three-headed dragon on his breast plate. However, the Greek word used (δράκων drákōn, genitive δράκοντοϛ drákontos) could also mean “snake”. Δράκων drákōn is a form of the aorist participle active of Greek δέρκομαι dérkomai = “I see”, derkeîn = “to see”, and originally likely meant “that which sees”, or “that which flashes or gleams”. This is the origin of the word “dragon”. It was a pleasant surprise to realize that the first Dragon Activation that Ferren offered to us was the dragon eye activation, which is a Chakra Cleansing and third eye alignment method with dragon energy that can help you to develop the vision of a dragon and be able to see beyond the polarities. This is mostly a male activation since Ferren is a red dragon of fire that manifests the male primordial force of creation and what he teaches us is mostly about dragon wisdom and the spiritual aspect of martial arts. After Ferren gave us this activation and various others, we were contacted by a further three dragons. One is ‘Nia’ who is the dragon of the Goddess Inanna and she is a blue water dragon which represents the female primordial force of creation. She also taught us activations and alignments with the dragon energy and she will teach us more in the near future. ‘Rein’ was the third dragon who visited us; he is a white crystal dragon from the Nordic clan, a magnificent being with unbelievable beauty that offered to us crystalline ascension tools and activations. The last dragon to connect with us is ‘Leyla’. She is a lavender colour and she is the Great Mother Dragon, the Matriarch of the Dragon clan and she is the first dragon created by the Anunnaki. She taught us a dragon healing system. Our dragon friends were very excited to connect with us and they look foreword to teach us more and aid us with our teachings for ESOPHORIA. 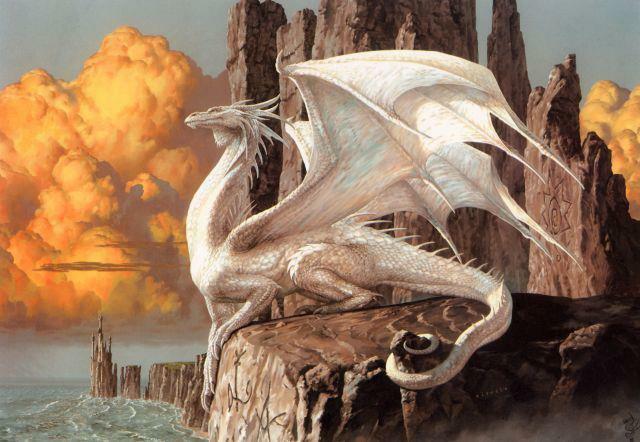 They are willing to donate a lot of time and energy in helping us with all that we are doing since these specific dragons have not spoken with humans on such a personal level for thousands of years. Description: This activation was channeled from Ferren by Dr. Helen Demetriou. Ferren is a member of a dragon clan who dwell on Earth and who work with the gods as companions and advisors. Ferren has asked Esophoria to give you this channeled message exactly as it was given so that you the student feel the essences of his words and that these words in themselves are an alignment with the holy dragon clan.“The dragon is a divine tutor who teaches humility, discipline, honour and strength of will. The dragon is an ascended master. This race of dragons is ancient and the way of the dragon is a force that all beings can learn and adapt into their spiritual practice. Knowing the dragon is knowing the self, for the dragon teacher is also a companion.I am Ferren and I belong to the red fire dragon clan. My species have been hunted and demonized throughout history and though we dwell on Earth we cannot reveal ourselves in the physical for it is too dangerous for my kind. Instead we work through the etheric dimensions to project our thoughts and open communication lines between humans and the Anunnaki gods. We are the hidden protectors of the children of the gods and we swore to continue to work behind the scenes to ensure your safety. We have no relation to the clan of the Chinese dragons but we are the same race. We are native to Earth and were the first here, even before the dinosaurs. We do not have owners or masters but we are companions and advisors to those who we feel are worthy of our help and teachings.I am the dragon companion of Marduk. My brethren were companions to the Anunnaki gods and each one had their own dragon friend and companion. We were their allies in the great wars. Do not think of us as pets for we are an ancient species who first lives on Sirius and we settled on Earth.I will tell you about the Dragons Eye. With this eye comes enormous Dragon Power. The great Dragon is watching humanity, keeping watch and recording the events taking place. What you call the third eye is the all seeing dragon eye that can see through the matrix. I have come to you by petition of the great magician Saint Germain who you also know as Thoth and Hermes. I have come to teach you the DRAGON FIRE ACTIVATION. My name is Ferren and I am offering you the gift of true sight. The blessing of the dragons is that of fire and this fire will serve you well for it will cleanse all of your channels and will align you with the dragon essence you have within you. The dragon fire activation will permanently enable you to see, hear, feel and know, all of the senses which are connected with the third eye. You will rise from the ashes of your ignorance and stand your ground as a human dragon, powerful, wise and spiritually strong, a true warrior and defender of peace and truth. I am the personal companion to Lord Marduk, the leader and ruler of Earth and the universe and it is with his request and that of his father that I come to you to give you this chance to cleanse your seeing and also burn away with mighty dragon fire all debris and astral refuse you have within your aura. With my blessings and your will to want to connect more with your dragon nature, your own dragon companion will make himself known to you in time and you shall truly feel his presence and the mighty power force of the dragon nation. This entry was posted in Channelled messages and tagged channelled messages from dragons.